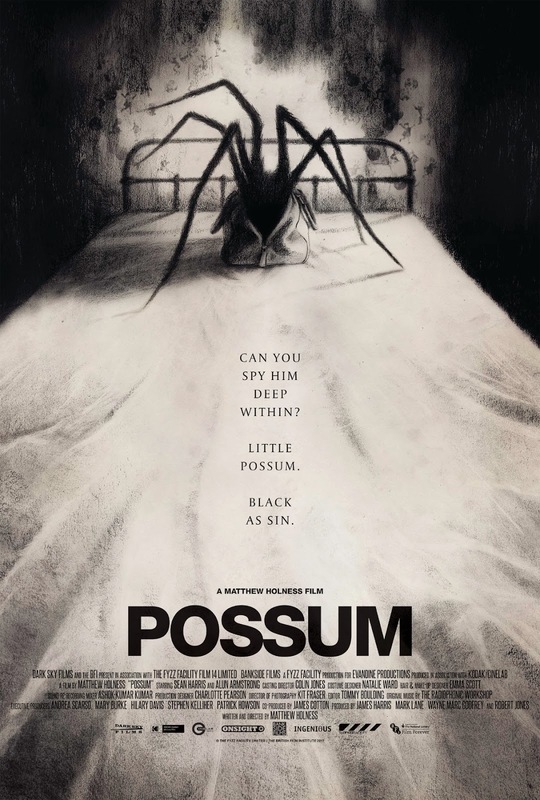 Dark Sky Films are proud to announce that POSSUM the directorial debut of Matthew Holness will be arriving this November in US cinemas and on digital platforms. Writer/Director Matthew Holness wrote and starred in Garth Marenghi's Darkplace before moving into directing. His short films include Smutch, A Gun for George and The Snipist. POSSUM is his first feature. As an author, his short stories have appeared in several anthologies including Phobic: Modern Horror Stories, The New Uncanny: Tales of Unease and Protest: Stories of Resistance for Comma Press. As an actor, he has appeared in The Office, Life's Too Short, Friday Night Dinner, Toast of London and Back. POSSUM comes from the producers of The Survivalist and I AM NOT A SERIAL KILLER and stars Sean Harris and Alun Armstrong. A disgraced children's puppeteer must confront his sinister stepfather and a hideous puppet he keeps hidden in a brown leather bag in order to escape the dark horrors of his past. POSSUM arrives in US theaters and on digital platforms from 2nd November 2018.